Enter this Spacious 11 Room Colonial with 3 Floors of Living Space Through the Welcoming Farmer's Porch and Enjoy its Well Designed and Gracious Floor Plan. The First Floor Features a Formal Living Room open to the Formal Dining Room, a Home Office, Gleaming White Kitchen with a Breakfast Area Open to the Large Family Room with Fireplace. The Powder Room, 2 Car Attached Garage and a Large Deck Complete the First Floor. The Second Floor Features The Master with its Large Private Master Bath with His and Hers Vanities, Whirlpool Tub & Separate Shower, plus 3 Spacious Bedrooms and the Family Bath and Laundry. The Finished Walkout Lower Level has a Playroom and Versatile Bonus Room with Closet Adjacent to a Full Bath. There is Ample Storage Space as well. This Thoughtfully Maintained Home has Central Air, Security System, Lawn Irrigation and a Generator. 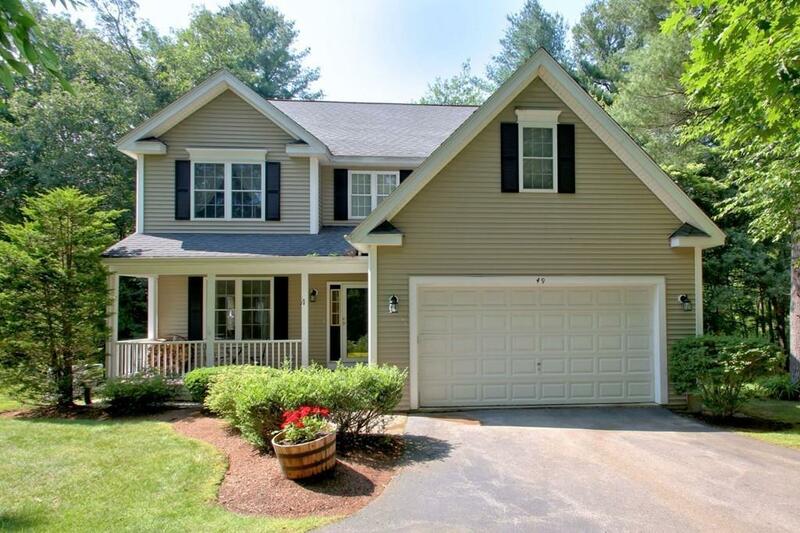 All in a Coveted Southborough Neighborhood and Minutes to Hopkinton State Park!